(Washington, D.C.) This year has seen a rise in the amount of Bitcoin conferences, but one in particular is priding itself on featuring the most radical movers and shakers in the Bitcoin community while also putting charity center stage. Boasting such rebels as Defense Distributed’s Cody Wilson, Overstock CEO Patrick Byrne, Antiwar.com’s Angela Keaton, and Blockchain’s Andreas Antonopoulos, Bitcoin in the Beltway will be highlighting the most disruptive elements of blockchain technology in the heart of government regulation—Washington D.C.
Jason King, founder of Sean’s Outpost Homeless Outreach, came up with the idea of the conference. Sean’s Outpost has been one of the most inspiring bitcoin charities, delivering 60,000 meals to the homeless in the Pensacola area in one year. The co-chair of Bitcoin in the Beltway is Elizabeth Ploshay of the Bitcoin Foundation, who is also known for her great work with bitcoin charity projects. A keynote panel comprised of Jason King, Davi Barker, Andreas Antonopoulos, and M.K. Lords will be discussing the broken nonprofit system and how blockchain technology can provide better solutions. “I come from a technology background out of the start-up technology world, and there’s a concept of methodology there that a small team of highly trained, efficient people can knock an incumbent off of their seat by being more focused and result oriented, so we’re trying to apply that same thing to philanthropy and nonprofits.”—Jason King of Sean’s Outpost in a Bitcoin Not Bombs interview. Music will be another feature of the conference. 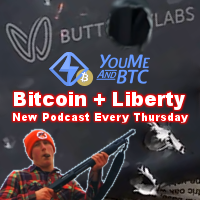 Bitcoin in the Beltway will feature the talented Tatiana Moroz, creator of the infectious Bitcoin Jingle, DJ/hacker extraordinaire YT Cracker, and Zhou Tonged, also known as the bitcoin world’s Weird Al Yankovich. The conference will take place June 20-22nd at The Marriott Renaissance DC Downtown. Tickets can be purchased at bitcoinbeltway.com and 10% of proceeds go to Sean’s Outpost Homeless Outreach. You don’t want to miss this revolutionary event built around the most exciting technology since the internet. 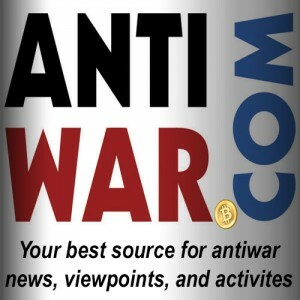 Tagged with: bitcoin charities, Bitcoin in the Beltway, Bitcoin Not Bombs, Elizabeth Ploshay, Jason King, press release, regulation, Sean's Outpost, Washington D.C.